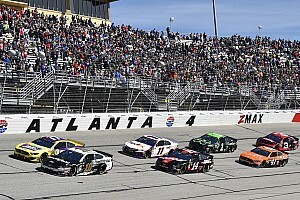 What do you think is the most impactful change in the 2020 NASCAR Cup Series schedule? Jim Utter: While there were many date changes, I think the biggest, long-term and most impactful change is the first steps have now been taken to shorten the season. Even with two weeks off in the summer for the Cup series, the season will end on Nov. 8 next year. And even without changing dates, removing the two week summer break (which is for NBC's coverage of the Olympics) in 2021, would get the season to end at the end of October that year. If you condensed both Daytona Speedweeks and the May races at Charlotte both into one week each, you could easily bring the schedule to close in mid-October. That seems to be the biggest goal for everyone involved. Nick DeGroot: The playoff changes stand out to me. There are now just four 1.5 milers in the postseason with Bristol and Darlington joining the playoffs. Martinsville as the penultimate race of the season is going to make for some sensational moments and even more 'wow' moments than we've had in recent years. 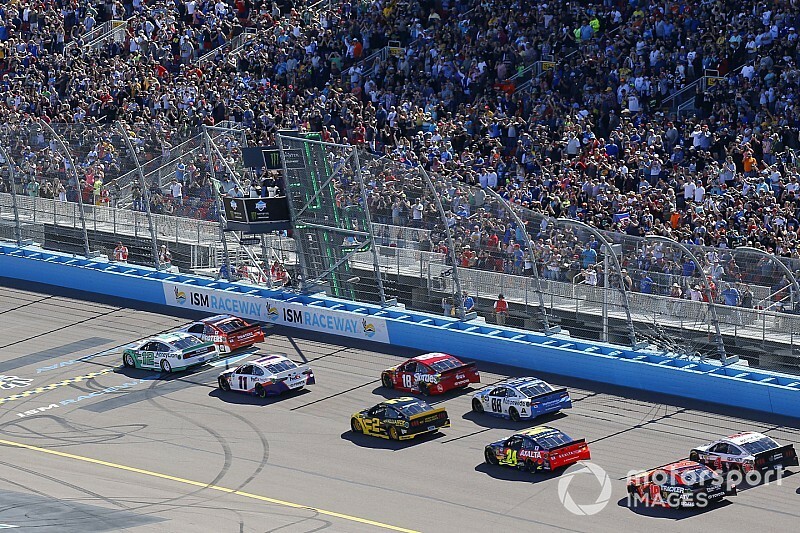 The move from Homestead to Phoenix is a head-scratcher to me as that race seem to fit perfectly as the title-decider and I doubt Phoenix can live up to what Homestead has produced. I just hope this is a sign of their willingness to make real change once the five-year agreement with the tracks are up so we can get some exciting new circuits on the schedule -- especially more road courses. Tim Southers: I think there are two impacts that should be noted and remembered are, the shortening of the schedulel by two weeks and the first doubleheader weekend to be held at Pocono Raceway. I think if the doubleheader works for the track there could be a couple of other tracks to possibly look at trying that. My first thought would be Charlotte Motor Speedway with the All-Star race and the Coca-Cola 600. Brad Keselowski dominated the race at Martinsville on Sunday to join Kyle Busch as the only other multi-race winner this season. Between Joey Logano and Denny Hamlin, who do you think will be the next multi-race winner in Cup? Jim: While I expect Logano to be good at Texas, I don't think we will see another multi-race winner anytime soon. If we do, I feel it will be Logano. But with the opportunity now for teams to make adjustments to their intermediate cars following the West Coast swing and some short track races ahead, I expect to see some more varied winners in the coming weeks. Nick: Joey Logano has the better shot, but I suspect someone else will rise up and take a couple checkered flags before either of them. Martin Truex Jr. and Kevin Harvick have yet to win this year and will surely find Victory Lane soon enough. Tim: To me Joey Logano seems the most likely to get a second win this weekend at Texas Motor Speedway. He’s been fast all year and he has a good history of running well at Texas so I think he could be the next to win two Cup Series races this season between he and Denny Hamlin. The race at Martinsville Speedway was tame by Martinsville standards. What do you think contributed to that on Sunday? Jim: Sunday's race looked eerily similar to the one a year ago in the spring that was an absolute dud. The excuse for that race was that it was run on Monday because of a snowstorm and the week after was an off-week and everybody "just wanted to get home." There was no such excuse for Sunday - the weather was perfect and there's another race on the schedule this week. I don't believe a change in downforce (that isn't any different than what was run in 2014), suddenly changed the race, either. Perhaps it's because there isn't near as much on the line in the spring as the fall race, which falls in the semifinal round of the playoffs. In other words, it may well still have been in the drivers' hands. Nick: As Jim said, last spring's Martinsville race was similar, so I'd just chalk it up to some races just aren't memorable. I'm sure the second Martinsville race in the playoffs will be another thriller, so I wouldn't sweat it. Not much the drivers can do when someone is as dominant as Brad Keselowski was. Tim: While Brad Keselowski dominated leading over 450 laps, I thought Chase Elliott had a car capable of challenging for the win and he did. I agree with Jim, in the spring there is still a lot of racing to go this season and drivers aren’t as likely to take risks. Now the fall race with a playoff berth to advance on the line, I think we’ll see more aggressive racing. 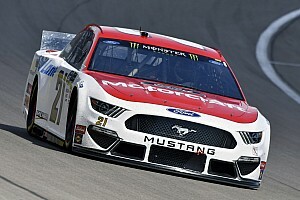 Cole Custer won at Auto Club Speedway in the most recent Xfinity Series race and won at Texas last November. Can he make it two in a row there this weekend? If not, who do you think his strongest challenger will be in the Xfinity Series race? Jim: I'm not sure Custer is ready to be a weekly challenger to Christopher Bell for wins in the Xfinity Series, but he sure took a big step in that direction with his performance in California. He has been a consistent performance but up to know not consistent in being in position to win. 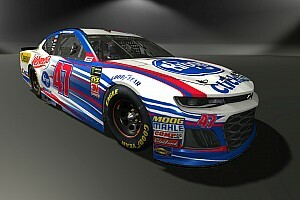 With a track this week on which he has won, I would not be surprised with another victory and another move toward being a strong challenger for the Xfinity championship this season. Nick: It would be foolish to discount Christopher Bell, but of course, Kyle Busch is there as well. If anyone else wants to win, they'll have to go through that No. 18 first. Tim: I think he showed his team’s strength at California and Custer should have plenty of confidence entering the race at Texas this weekend. I think if he wins this weekend he’ll have the wins and confidence to be one of the main challengers for the title along with Christopher Bell and other for playoff run in the fall.